They stay time flies, but it takes on a whole new meaning when you're an adult!! How is it possible that we are in the final weekend of October?! Linking up with Amanda to share a few favorites from the last couple of weeks! 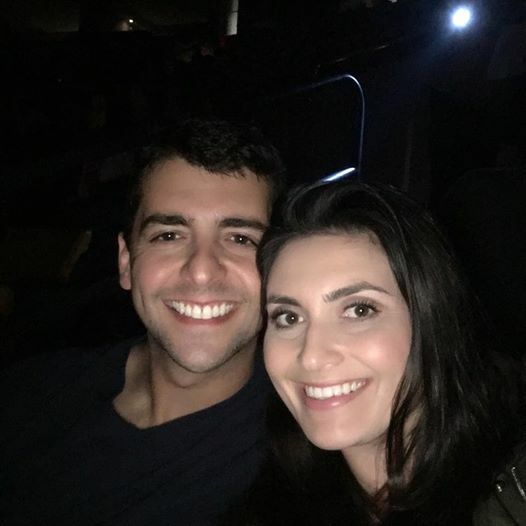 Last Tuesday Gary and I went to go see Sia in concert. I have to say it was one of the most interesting concerts I've ever been to! It's weird because while she was on stage the entire time, she stood in the same spot for an hour and half and sang - no breaks, no pauses and never once engaged with the audience except at the very end to say thank you. In all honesty, it could have been someone dressed in a wig for all we know, but her voice is really incredible. Also, the girl who is in all her music videos was of course there and just as talented as she appears in those videos. I apologize for over-snapping, but it was a really great show! I am seriously a reading machine - averaging about a book a week, sometimes 2 depending on how short they are. 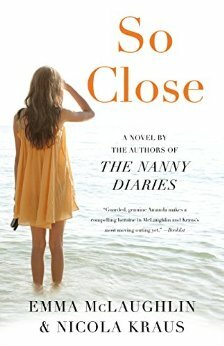 I just finished So Close and it was really well written. I didn't realize that so much of the book was going to take place in Jacksonville, FL - my hometown - but it was a pleasant surprise to read about the local neighborhoods I know so well. Amanda, Pax & the Davis family come from very different backgrounds and it was great to read how Amanda coming from a trailer park in Florida fit into their lifestyle! I really liked that years went by in the book, but it didn't feel like the authors rushed it to fill a gap. Do you ever finish a book and feel like you weren't done, like you wanted more - well that was not the case here, I was very satisfied with how everything was concluded! 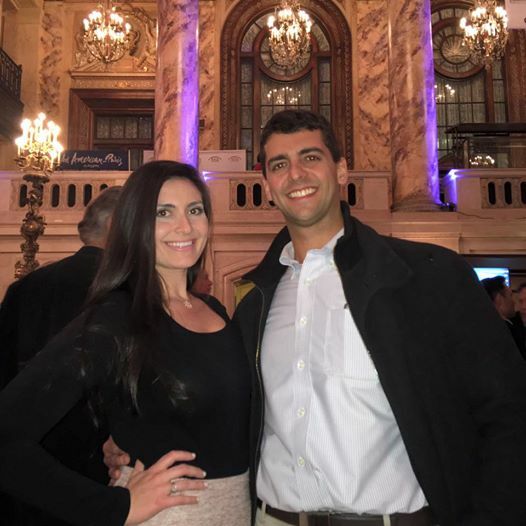 The North American tour of An American in Paris is currently in Boston and thanks to the folks at CambridgeSide Galleria Mall and Citi Center for Performing Arts we were able to attend. It was a movie in the 1950's with Gene Kelly as one of the leads and opened on Broadway last year to critical acclaim. A love triangle set in Paris - pretty captivating regardless of how much time has passed! It's always nice to do something a little different and I love any excuse to see a show at the Wang Theater. I mentioned that my leopard flats bit the dust earlier this year and I was waiting to replace them and decided to go with the Yosi Samra Leopard Flats during the Shop Bop sale a couple weeks ago. So far I've only worn them once because of the shift in temps, but it's supposed to warm up next week and I can't wait to sport them! Their foldable and will be really easy to travel with, not to mention seriously comfortable! I also scooped up this cookbook that I can't wait to dig into! || This woman got so stressed that she actually suffered memory loss - terrifying! So I quickly followed that article up with reading 13 ways to de-stress my life! || The full trailer for Gilmore Girls Year In The Life came out and I all but squealed || Hair contouring has become a thing...as my 11 year old niece would like to say - What, the What?! || Have you heard Pentatonix version of "Hallelujah" - if not you're missing out!! Posted one week ago and already over 17 million views! Hope you all have an amazing weekend!! See you back here Monday for weekending! Really awesome favorites♥♥ I've been super curious about thst book! That is so interesting about Sia. My husband and I were just talking about who we'd like to see in concert and she's on it. LOVE the leopard flats, I need to check those out. 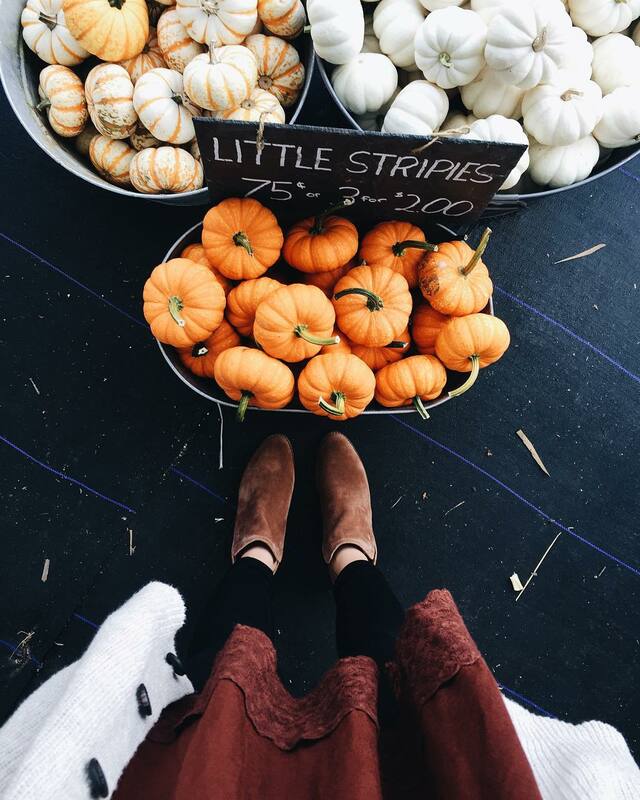 I hope you soak up all Fall's goodness this weekend sweet, gorgeous gal!! That book sounds so good! Definitely added that to my reading list. I have heard really good things about that brand of flats - I think I need to give them a try! Have the best weekend! That is so crazy that Sia just stood in one place the entire time! She has such an awesome voice, though! Love those leopard flats, so perfect for travel! Have a great weekend! I was scrolling through Facebook the other night and saw that version of Hallelujah and immediately added it to my playlist. Love! Those leopard flats are seriously cute! I have been wanting a pair but couldn't find any that were comfortable enough. You said these are, huh? Perhaps I will keep my eye on them! That book sounds interesting, you really are a reading machine! Enjoy this last weekend in October!!! SO pumped for Gilmore Girls!! I have 2 seasons to get through before the new one comes out! I could totally see the Sia concert being interesting :) That book sounds really good. I'm currently binge watching all the old seasons of Gilmore Girls and I need to get moving on it because there are so many left! Definitely going to pick up that book! Sounds SO good and I've also been on a reading kick! The Gilmore Girls trailer...so many tears and SO excited! Just opened a tab to check out these leopard flats! I invested in a Tory Burch pair four years ago, and though they were worth the investment, they've totally bit the dust. Also... I love learning about others' routines. When do you find time to read? I know you're a busy blogger and working lady, so I'm just curious because I'm always trying to find more time to read guilt-free. Have a beautiful weekend! That's crazy that Sia just stood in the same spot for the entire show! Good thing she had a dancer to entertain the crowd. Those flats are so cute. What a great buy! i am so excited to see sia on sunday - and not surprised she didnt engage too much. i have floor seats and i'm so pumped :) those flats are adorable! and look super comfy. and seriously that gilmore girls trailer had me dying. so good! happy friday love! Love those leopard print flats! I am in the market for some new ones, as my Sam Edelman ones are starting to bite the dust! That's so weird that Sia stood in one place for 1.5hrs and didn't engage at all. I don't know if that's to be expected with her nature, but in a way you do attend concerts to see and engage in a more intimate way with the artist, else it's just like listening to the album in your, ya know?! But at least you had a great time! I love those flats, I remember you mentioning that you had recently purchased a pair of leopard flats, I love these! Thanks so much for sharing, beauty, and I hope you have a great weekend ahead! Seeing An American in Paris performed live was probably so awesome! The books sounds interesting. I'll have to check it out. Have a great weekend! That theater looked beautiful last night for the play!! Love those flats - they will go with so much! I cannot imagine standing in the same spot for that long! I hope you enjoy the remaining days of October! Have a great weekend! Love that first pic of you and Gary. I'm wearing my Yosi's today too! It got warm again, phew! Oh girl, I have meant to send you a message saying thank you so much for all the snaps of the Sia concert. It was like I was there with you!! I thought it was awesome. That is a big crazy that she just stood there. She does have a great voice. Hope you had fun at the play. Have a wonderful weekend. So grateful that next week won't be so cold. This wind, is horrible. I can't wait to hear more of your thoughts on those flats! I have the hardest time finding flats that are comfortable, but am in desperate need of another pair! So fun you guys got to see An American in Paris-- the theater looked soo gorgeous from all of your snaps! I was going to say I loved the Nanny Diaries & haven't heard of that book, but I went to add it to my to-read list on Goodreads and it was already on there! Dying to see An American in Paris, I love the movie. I have those Yosi Samra Leopard flats, they are my fave! hair contouring?! lol. adding So Close to my list, sounds fabulous! i honestly don't know much about Sia though i know a few of her songs, i've never seen a video or anything. so, she like never shows her face? i can barely stand still for an hour, let alone singing (not that i can sing lol). i really hate when people don't interact though, because that's my favourite part of the concert, seeing/hearing more of them than you would in a cd or music video. have a good weekend! I loved the Nanny Diaries, and I see that book is by those same authors! I'll have to check it out! I have never heard of it. 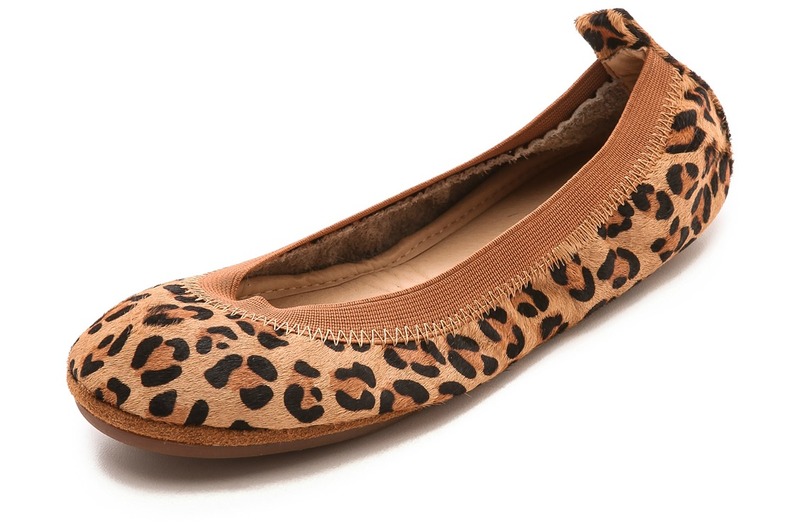 Oh, and those leopard flats are gorgeous! That's a bummer that Sia didn't engage with the audience, but I can see that happening with her, she's a bit odd, but her voice is amazing! I'm adding that book to my list, it sounds super interesting! An American in Paris is wonderful - that's so awesome that it came to Boston! I think I'd like to see Sia in concert. Sounds intriguing! Have a great weekend! I seriously can't wait for the Gilmore Girls revival! I just about died when I saw the trailer. And yes to An American In Paris! We saw it in NYC last year, and I loved that it was a little bit different than the normal Broadway shows with the ballet mixed in there. So Close sounds like a great book! I need to check it out! An American in Paris is one of my favorite movies, so I'm jealous that you got to see it live! Yay for Gilmore Girls, right? Have a great weekend, lady! So awesome that you got to see Sia but how strange that she didn't move! I love old films and would love to see An American in Paris live! Have a wonderful weekend! I love that movie, I can only imagine the play is so good! I have watched the Gilmore Girls trailer way too many times! I cannot wait until it's here!!!! That memory loss story is terrifying. I heard about a similar case where a woman in Michigan left her town and drove to another state with no memory of it. She could only recall things that happened before she was 12. They had to re-introduce her to her children and everything. That's really interesting that Sia didn't engage with the audience. She is performing this weekend in Orlando. I'm not going but I'm curious to hear if everyone had a similar experience. Just seems strange. I'm going to have to check out So Close and see if they have it as an audiobook. How fun that you got to see an American in Paris! I haven't seen a good show in awhile!! I have a major problem with my flats not holding up their shape and durability. Maybe I should invest in some cute ones like yours. Those leopard flats are so cute! The being stressed and losing memory scares me. My life is super stressful with our renovations going. Thanks for the article and de-stressing! I need it. Those flats are adorable! And so envious you went to see Sia. Her voice is that of a goddess. LOVE her. Oh my...can we please talk about those leopard flats?! I love love love. Want. Need. Buying.